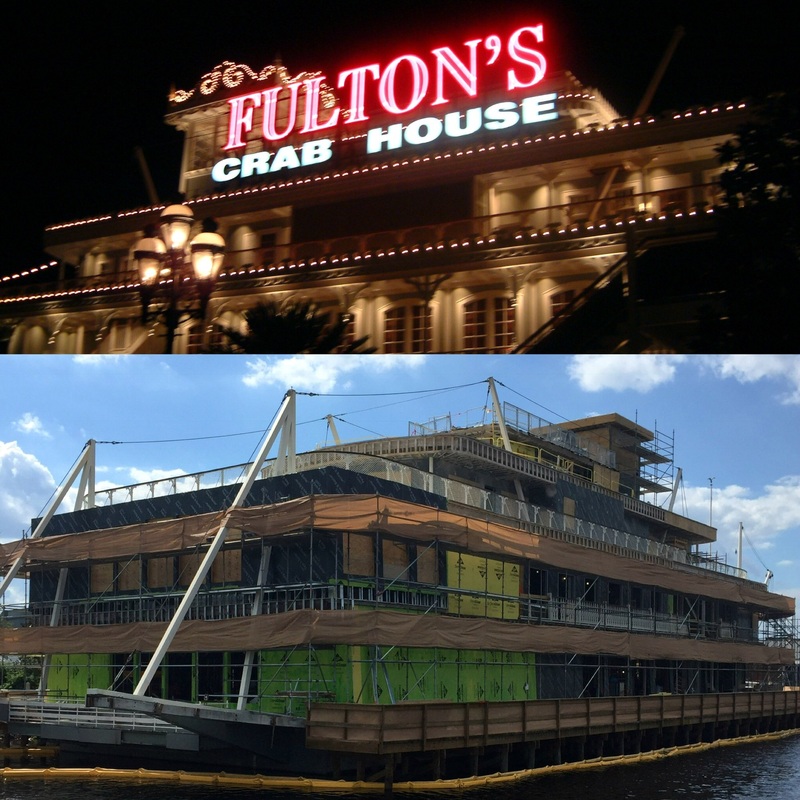 Waiting with eager anticipation for one of the landmark restaurants of Disney Springs to reopen after extensive refurbishment and rebranding from Fulton’s Crab House to Paddlefish. The area surrounding the restaurant does not seem quite the same without it’s dominating presence. 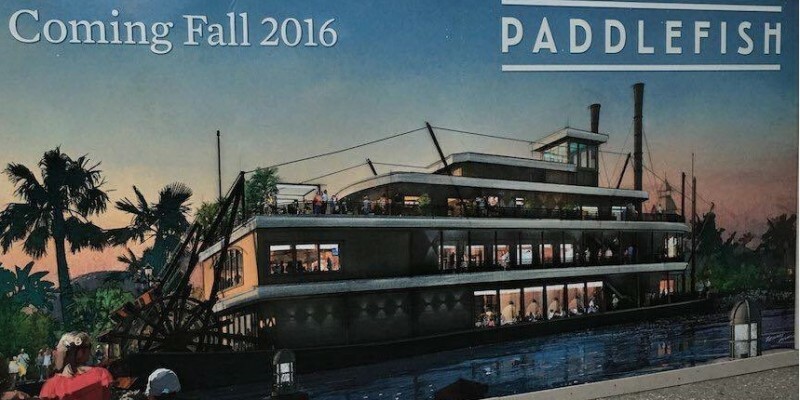 Over the past few weeks they have been tempting future diners with “Sneak Peaks” of new menu items and cocktails from Chef Mark Boor, as well as branding themes and artists’ impressions of the finished concept. I must say it looks amazing and in keeping with the new “Vibe” of Disney Springs, to set it apart from the old “Downtown Disney” era. The billboards quote as “Opening Fall 2016” but the latest update on Facebook seems to suggest a December roll out. As with all major developments this date is likely to be flexible, and as you would expect from Disney, they will not allow this flagship restaurant to open until everything is perfect.